Back to heart of what we’re all about – escape room reviews! For those of you who have been following my reviews, you know that my first impression of Mr. Escape wasn’t very good. Was there any difference this time? Not much, but there was improvement. Our team of 4 (who would eventually become my ”A Team” of escape room artists), were ready and eager to go. This time around there were no staff standing at the front entrance having a smoke break which is good. We were a bit annoyed by the fact that their receptionists were more interested in their phones, texting and online social activities than attending to us or setting the mood. This seems to be a negative trend that extends to several different escape room companies. One that will soon be put to an end I hope. The front lobby is small and the walls have pictures of participants who failed or passed each of the rooms. I personally enjoy the way their walls and hallways leading to the various rooms are darkened and designed in theme. 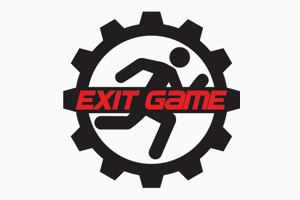 Again our narrator struggled with his English making for a rough start, but when you’ve done enough of these escape rooms and the backstory isn’t central to the experience, you learn to not worry. Still, if this was our first escape room it would be unsettling to not understand what is being said. My initial impression when walking into the room was neither awe, nor disappointment. Just a small room with a variety of things that didn’t come together in a theme. I always emphasize the importance of role playing and set design when I’m meeting with the various owners of escape rooms. You don’t need big budget technology and gadgets to achieve this. One simply needs to think about the experience from the perspective of the escape room participants. One thing Mr. Escape fails to do time and time again is offer more than a room filled with puzzles. They make a fairly good attempt at set design in their Bloody Moonlight room, but I think they need to focus more on how immersed a person is within the backstory of the room. Believe me when I say you’ll forget what the backstory of Stringer Requiem is within minutes of entering the room because there’s no meaningful connection to the room itself. One of the reasons we break down our escape room reviews into different components is for rooms like Stringer Requiem. The Pre-Room was fairly unimpressive, the room itself was unimpressive, but the puzzles? They were good! I liked the variety of puzzle types, I liked how the puzzles actively engaged our whole team, and I liked that the puzzles had some relevance to the theme of the room! Where the puzzles fall short I would say is in their layout and confined room setting. I know you have to work with what you got when it’s a limited size of space, but again, this is where escape room companies need to be creative. Apart from this, the puzzles were good and at just the right challenge level for mid to experienced level escape room artists. Would I say avoid this room? No it’s not that bad. Would I recommend this room however? Probably not considering the amount of impressive rooms and companies that are out there in the GTA nowadays. If you manage to get a great discounted rate I would say check out Stringer Requiem, but otherwise there are far better options on how, when, and where to spend your money. 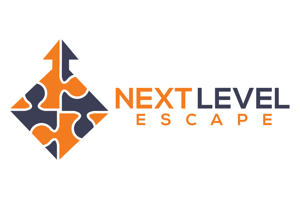 My hope is that over time escape room companies will understand the need to be very creative and go the extra mile in considering the participant’s experience from the moment they enter to the moment they leave. Simple things add up: How a lobby looks, how attentive the receptionist is, how good the backstory is, or even what colour of paint is on the walls. When we as participants purchase a room experience we want far more than just a room with puzzles. The companies that realize this are the companies who will ultimate survive, and I’m not certain if Mr. Escape is one of them, but as always please judge for yourselves.